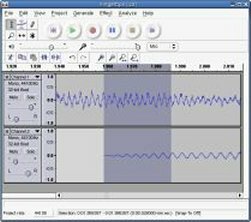 Audacity� is free, open source software for recording and editing sounds. Great for cleaning up EVP. Download version 1.2.4.... Its Free! Click here to visit the authors homepage. 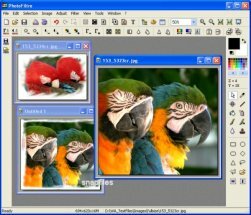 PhotoFiltre: photo editing and effects. Download version 6.2.5 now... Its Free! 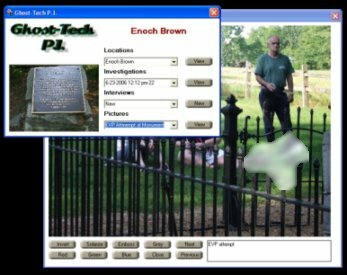 EVPmaker is a software for the generation of acoustic "raw material" for recordings of paranormal voices on tape, also known as "Electronic Voice Phenomena" (EVP). For this purpose, the program divides any recording of speech into short segments and then plays them back continuously in randomly order. The resulting "gibberish" still sounds like speech, but can't be understood anymore, and is therefore suited as background noise for EVP recordings. Download version 2.1 now... Its Free! EVP Assistant was designed by the EVP Research Association UK as a basic noise generator for use with Electronic Voice Phenomena experiments. The featured noises can be played through your PC or laptop speakers as a carrier sound for inter frequency experiments. The featured noises are white noise, pink noise, brown noise, waterfall and Spiricom. 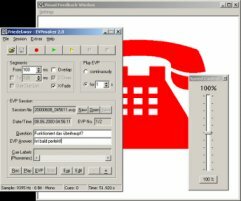 EVP Assistant is a flash based program that allows you to play the featured noises alone or together in any combination for 30 minutes at a time. Download version 1.0 now... Its Free!